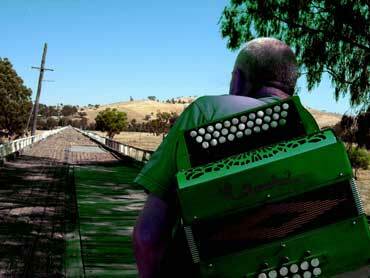 The inaugural Turning Wave Festival of Irish and Australian music and the related arts is developing into what will be a wonderful celebration of the connections between Ireland and Australia through music, song, dance, spoken word, literature, theatre, and a world Celtic fringe. 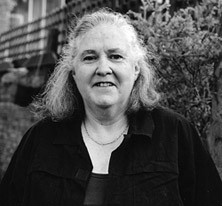 Australian poet and writer Colleen Z Burke, author of numerous books, including nine poetry books, oral histories and a biography, Doherty’s Corner – the life and work of Poet Marie E.J. Pitt, will be a key presenter at the Festival. 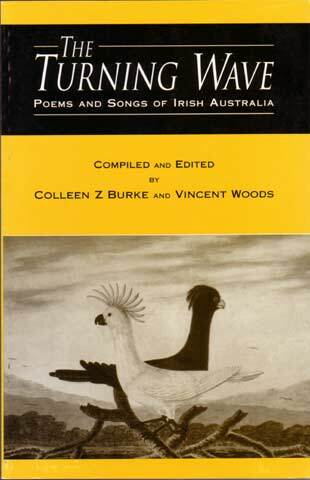 The Festival actually takes its name from a poem by Colleen and, an anthology The Turning Wave – Poems and Songs of Irish Australia, co-edited, with Vincent Woods and the festival was very excited when Colleen and Vincent gave permission to use this title as the festival name. Colleen has been involved in the folk music and poetry scenes for many years and has presented a variety of workshops and themed concerts at Australian folk festivals, including the National, Blue Mountains and Illawarra Festivals on topics such as the Irish in Australia illustrated by songs and poems, political songs and poems of Australia, and the songs and poems of Australian working women paid and unpaid. A feature at the 2006 Turning Wave will be her presentation on the Irish in Australia in collaboration with John Dengate and will include songs, stories and poems and readings from her book. Women poets will not be left out either and Colleen will co-host with Maureen O’Brien a special forum where women writers of poetry and song will be invited to share their work. There will also be opportunities over the weekend to hear Colleen read from her numerous collections of poetry. Colleen has performed her poetry in Ireland, Wales and England as well as diverse Australian venues and her contributions to the Turning Wave are much anticipated. The addition to The Turning Wave Colleen has also edited several collections of poetry and prose and facilitates creative writing and poetry courses in adult education. Her prose has been published in various anthologies including Wee Girls – Women writing from an Irish Perspective and ger most recent poetry collection is The odd pagan or two. The Turning Wave Festival in the historic town of Gundagai 13 - 17 September 2006. Visit the Festival website for all the latest program and performer information as it unfolds or send us an email for more information. Irish Australia celebrated at new Festival.